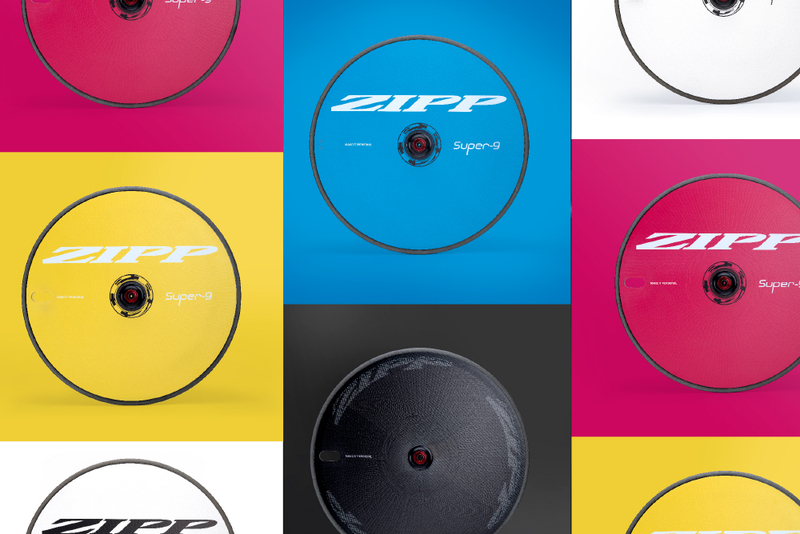 On top of that Zipp is also offering for the first time a Super-9 Disc, customized with the buyer’s name, in the NSW graphic pattern. It’s a perfect match for those riding NSW front wheels. The NSW-graphic Super-9 is available in rim-brake or disc-brake versions. You can personalize the NSW graphic disc with your name, too, if you order from Zipp.com. For those unfamiliar the Super-9 Carbon Clincher features a max width of 27.5mm with a brake track width of 26.46mm. This non-parallel brake track helps to smooth the airflow transition from the tire to the disc’s surface, which provides one of the major aerodynamic advantages of the wheel. The Super-9 also features Zipp’s Aerodynamic Boundary Layer Control (ABLC), more commonly known as the “golf ball pattern” (in this case, the dimples are found in 5 different sizes), found on almost all Zipp products. ABLC works to create a slight turbulence directly above the rim surface, resulting in a lower level of integrated drag. The Super-9 ships with Tangente Platinum Pro Evo Brake Pads matched with Zipp’s carbon braking surface. The pads themselves feature an enlarged surface area and improved clearance to work with integrated brakes. These colorful discs made their public debut being ridden to a world championship title in the team time trial by CANYON//SRAM Racing. Those looking to buy one can order it at Zipp.com today for a price of $2,875 (in either rim or disc brake versions). For those that already own a disc wheel it’ll probably be a steep price to pay to either color match an NSW front wheel or to add a splash of color at the rear. (And we were really hoping that when we finally saw NSW graphics on a Zipp disc wheel they would come with an NSW hub and ShowStoppper brake track). 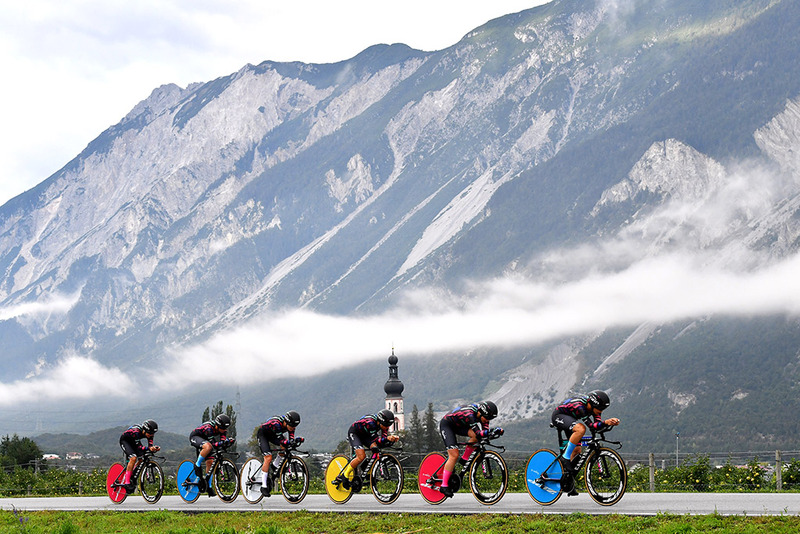 But for those looking for a disc wheel you really cannot go wrong with a Zipp Super-9 and having one to perfectly match and complement your bike is icing on the cake.